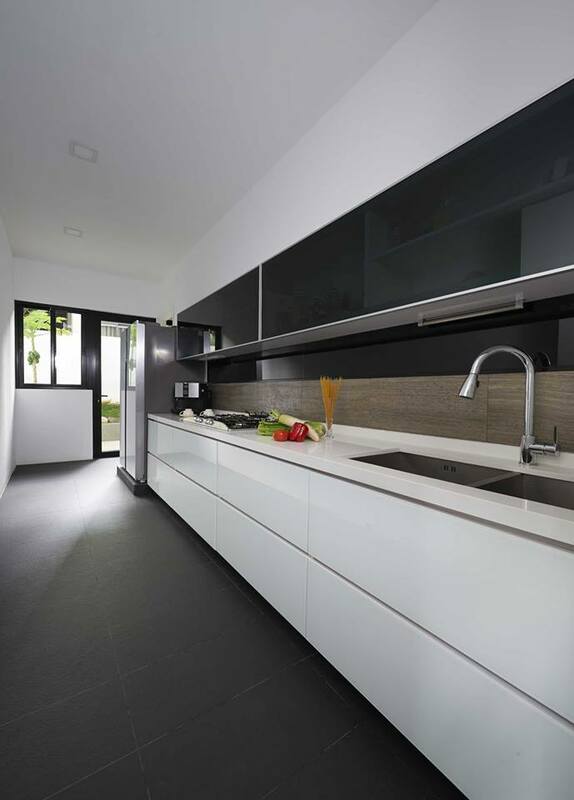 Kitchen design could be a big hit-or-miss depending on several design choice that you make. 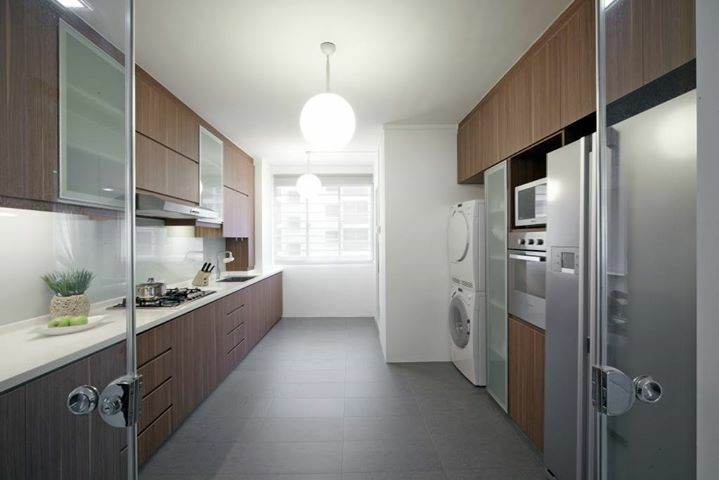 These include the layout, the cabinets, the materials, the lighting and of course the appliances. A good kitchen design always incorporates a steady mix of all the above elements that come together to define the very personality of your kitchen. 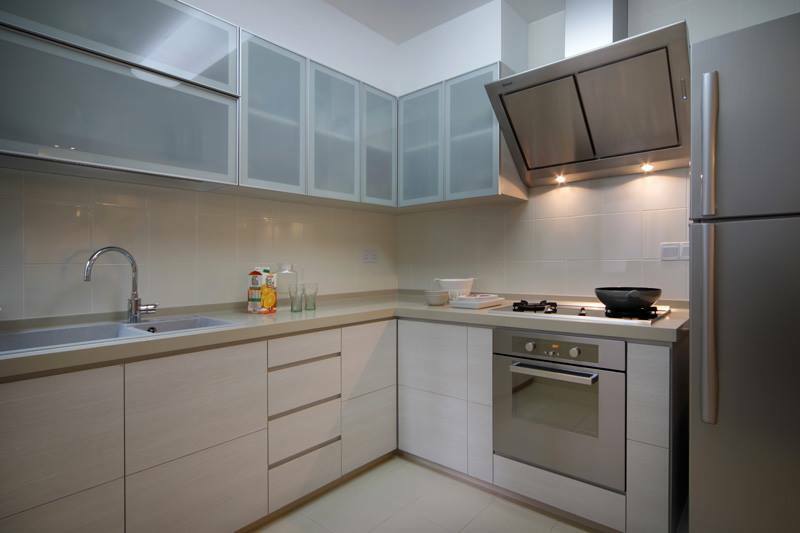 Know that there are no hard and fast rules about kitchen design except one – always consider the functionality of your space before you pan out the aesthetics. 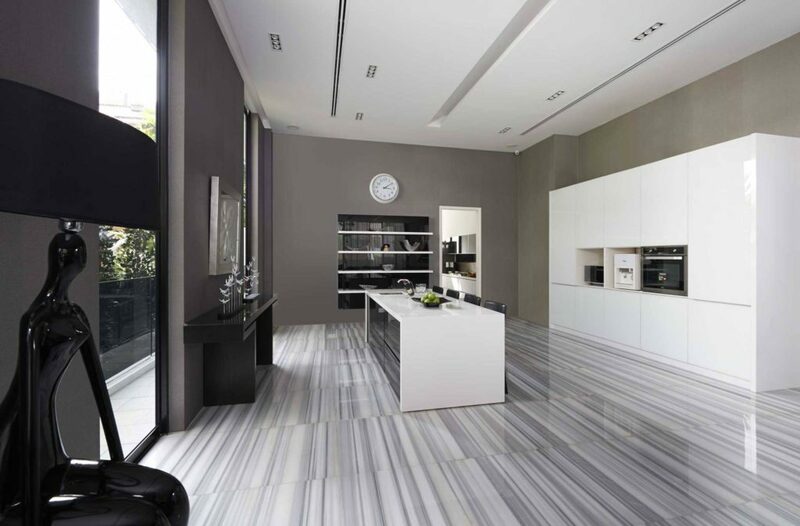 Below, we will be looking at some of the best kitchen designs in our library. The parallel counter layout is one of the most sophisticate and functionally possible paradigms in the design world. The image below shows how the front on front layout makes for easy circulation space, an aesthetic that is easy on the eyes and a full scale lighting intervention that is just the perfect combination of natural and artificial. Open kitchens often come with an adjustable dining combo – and just as well, as these utilize the space to produce better, more pragmatic results. 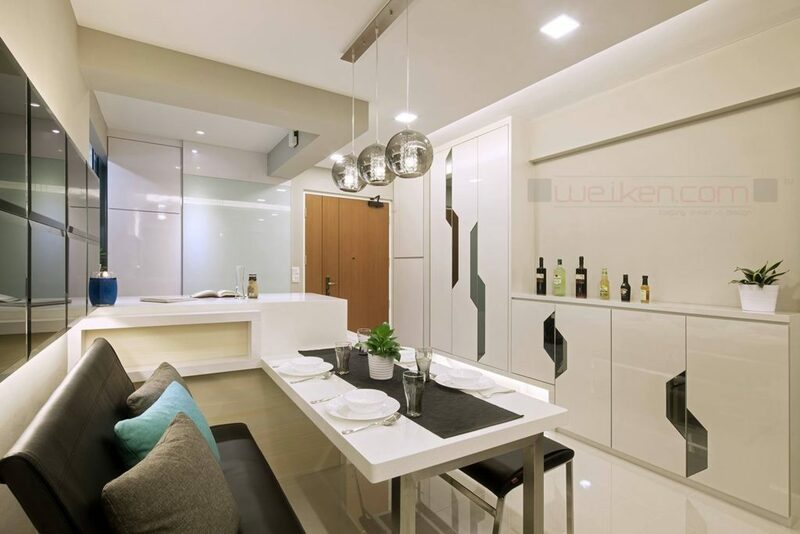 In the image below, you will see just such a layout; where the careful planning of the kitchen-come-dining, furnished in all white has created a synthesis of modern and contemporary with a dash of fashion. Another parallel layout; this kitchen shows just how well this kind of a layout can work within a small scale separate kitchen design. 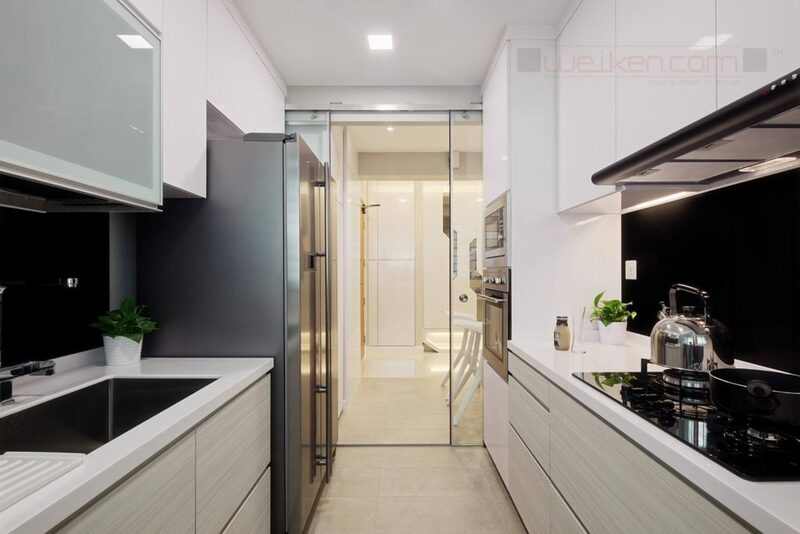 The careful positioning of each appliance adjacent to the relating countertop within just the right dimensions create an exceptionally stable working layout that offers some great aesthetics as well. This kitchen showcases the U-shape formation that is one of the best functional layout applications for small scale kitchen designs. The ultimate functionality of this layout works out best in square spaces, which leaves lots of room for circulation space in the middle. 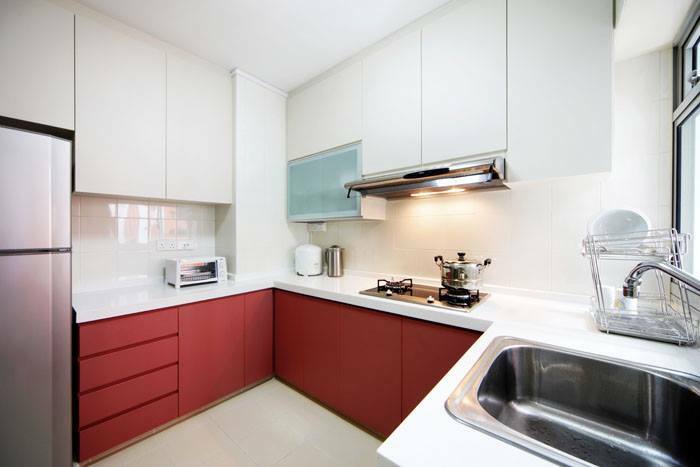 This kind of kitchen is designed both for easy, effortless and swanky aesthetics with pragmatism taking a backseat. These work best in dry kitchen formations, and are used mostly for showcasing the master kitchen. The single counter formation is not one of the best kitchen layouts, but is still pretty workable. Used in large-scale commercial kitchens, these are usually relegated to a single prep duty to the relevant worker. Best suited for rectangular kitchen spaces, the L-shaped layout is somewhere between the parallel and U-shaped formations. It can seem a bit unbalanced, but that doesn’t take away from the functional parts of its design.